For over 40 years Jasons Cabinetry has been designing and producing custom cabinetry using high quality materials and finishes. From our family, to yours. 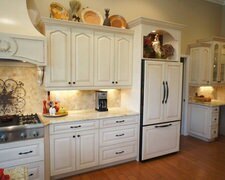 Atascadero Cabinets provides high quality custom kitchen cabinets to the homeowners. They help you renovate a cramped and boring kitchen at a reasonable price. Atascadero Cabinets brings every element of each project- from cabinetry and countertops to fixtures and handles- together in a cohesive way. The comfort of the process will only be out-shined by the joy brought by a truly personalized space.